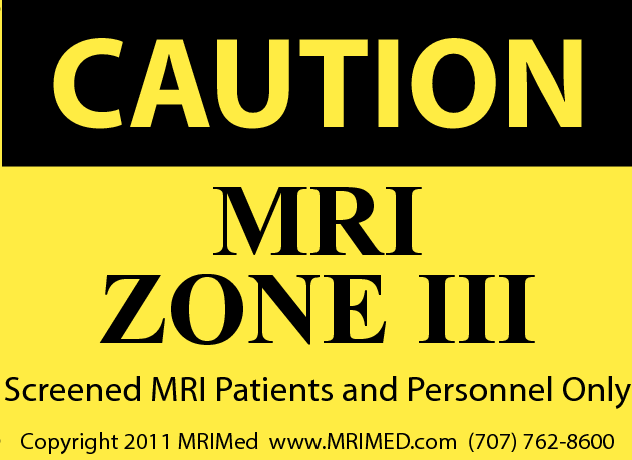 Our MRI Zone Signs are made from a highly durable ridged plastic that is designed for Indoor/Outdoor use and guaranteed not fade. All Zone Signs come with a full stick reverse side. Designed for Indoor & Outdoor use.